The Almanac of American Politics is the gold standard—the book that everyone involved, invested, or interested in American politics must have on their reference shelf. Continuing the tradition of accurate and up-to-date information, the 2014 almanac includes new and updated profiles of every member of Congress and every state governor. These profiles cover everything from expenditures to voting records, interest-group ratings, and, of course, politics. In-depth overviews of each state and house district are included as well, along with demographic data, analysis of voting trends, and political histories. The new edition contains Michael Barone’s sharp-eyed analysis of the 2012 election, both congressional and presidential, exploring how the votes fell and what they mean for future legislation. The almanac also provides comprehensive coverage of the changes brought about by the 2010 census and has been reorganized to align with the resulting new districts. 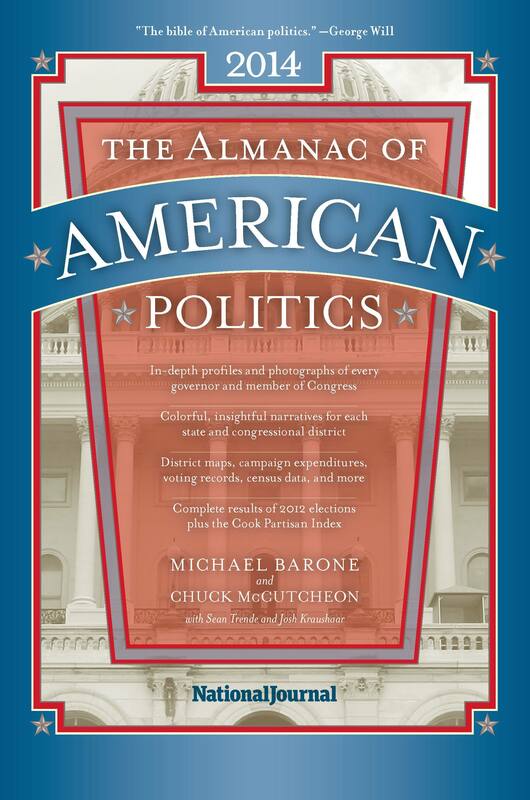 Like every edition since the almanac first appeared in 1972, the 2014 edition is helmed by veteran political analyst Michael Barone. Together with Chuck McCutcheon, collaborator since 2012, and two new editors, Sean Trende, senior elections analyst for RealClearPolitics, and Josh Kraushaar, managing editor at National Journal, Barone offers an unparalleled perspective on contemporary politics. Full of maps, census data, and detailed information about the American political landscape, the 2014 Almanac of American Politics remains the most comprehensive resource for journalists, politicos, business people, and academics. "The biennial arrival of a new Almanac of American Politics is a moment of true joy for political reporters."